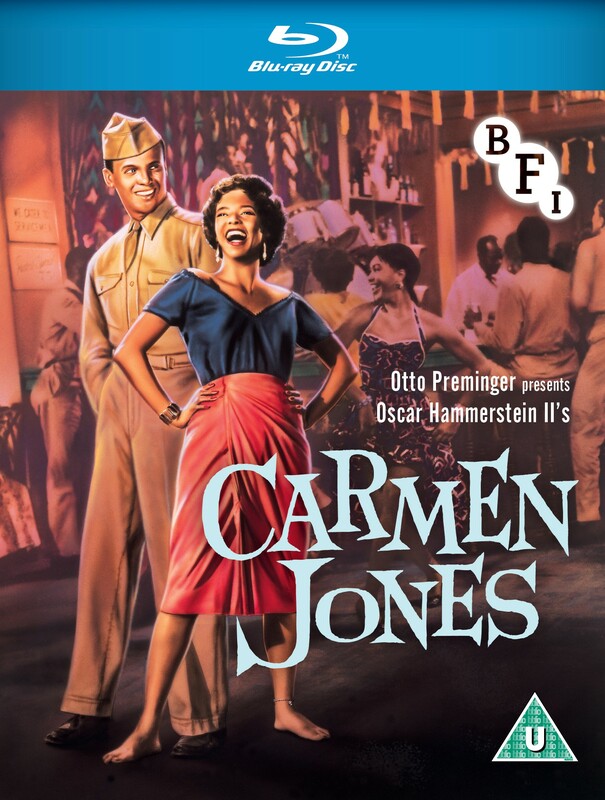 Dorothy Dandridge, whose vibrant performance resulted in the first Oscar nomination for an African-American actress in a leading role, stars as the beautiful temptress Carmen Jones. In one of the sexiest performances ever seen on the big screen - she seduces the handsome GI Joe (Harry Belafonte) away from his sweetheart (Olga James), but after she tires of him and takes up with a heavyweight prizefighter (Joe Adams), she only succeeds in triggering Joe’s tragic revenge. With an all-black cast this Oscar nominated version of Bizet’s opera Carmen features an iconic soundtrack from Oscar Hammerstein, including songs such as ‘Beat Out Dat Rhythm on a Drum’, and was voluptuously shot in Cinemascope Technicolor. Dorothy Dandridge, whose vibrant performance resulted in the first Oscar nomination for an African-American actress in a leading role, stars as the beautiful temptress Carmen Jones. In one of the sexiest performances ever seen on the big screen - she seduces the handsome GI Joe (Harry Belafonte) away from his sweetheart (Olga James), but after she tires of him and takes up with a heavyweight prizefighter (Joe Adams), she only succeeds in triggering Joe’s tragic revenge. With an all-black cast this Oscar nominated version of Bizet’s opera Carmen features an iconic soundtrack from Oscar Hammerstein, including songs such as ‘Beat Out Dat Rhythm on a Drum’, and was voluptuously shot in Cinemascope Technicolor.